When Tim Carter became a member of the execution squad at a prison in the state of Texas, he signed away his life, his heart, and his very self to a career of brutal violence and routine executions. But in the midst of the darkness of prison life, the light of God’s Word shone in front of him. The Executioner’s Redemption tells the wrenching yet beautiful story of his transformation from heard-hearted prison guard to pastor and explores the lessons he learned in one of the most brutally violent and emotionally ruthless classrooms on earth. In the following excerpt from chapter 2, Pastor Carter describes the toxic prison environment and how a series of life events impacted him in a way he never thought possible. A bizarre twist in my personal situation was that I was back at the prison, but was in the precarious situation and risk of becoming the very religious person I hated and knew could not survive in that environment. I was now hooked on reading the Bible and back to attending Catholic Mass. I knew that kindness was weakness and that religious guards were not trusted, so I was in a quandary of how to be effective in the prison while trying to be a Christian. Without having Bobby Curry to ask about Bible-related questions, I became heavily influenced by a radio preacher to whom I listened constantly. This preacher had an extreme intolerance for sin, sinners, and worldly behavior. This helped me feel justified in my constant fighting with inmates, because he was a big proponent of judgment for sin and adamant that sinners needed to reap what they had sown. I resolved my quandary of how to be an effective prison guard while also being a Christian by following this radio preacher’s influence, which steered me to become severely self-righteous, condemning, and judgmental. I considered myself a biblically justified and divinely anointed agent of God’s wrath to impose judgment and punishment upon the sinful, despicable inmates. My new attempt at becoming a Christian was tempered with an impassioned hatred of evil people, and this fueled my zeal to aggressively fight the war against inmates. My self-righteous version of faith and my quick and blasting condemnation of sinners soon caused me a lot of trouble. I fell back into the bad habit of being proud of my constant fighting of inmates and even brought some of the video recordings of these fights home to show my young children. I can remember my little daughter jumping up and down on the couch and cheering while watching these videos of her dad “taking care of business” inside the prison. I was promoted to lieutenant at the Goree Unit. In this position I still fought a lot, but my main responsibility in fights was to make sure that they were carried out with the new federal reform guidelines to prevent brutality. I recall one incident when one of my sergeants called me on the radio to report a disturbance in our maximum security cellblock. When I arrived at the scene, I could see that an inmate was out in the hallway in front of the cellblock, refusing to comply with orders to return to his cell. The inmate was being escorted without restraints from the shower to his cell when he broke away from the escorting officers and became violent. The defiant inmate was threatening to kill any guard that came close or tried to subdue him. He also demonstrated his rage by destroying a table in the dayroom hallway. I ordered our response team to suit up in riot gear while I tried to reason with the inmate. Approximately fifty inmates were locked up inside their cells on that particular cellblock, which had a full view of the incident, and the threatening inmate was doing his best to put on a big show for his audience. I quickly realized that all of the inmates watching from inside their cells were encouraging the insurrectionist to go ahead and kill me. It felt like the threatening inmate and I were two gladiators in an arena filled with spectators cheering for blood. In compliance with the use-of-force policy, the entire incident was being videotaped, so I was careful to do everything according to legal guidelines. When the inmate cursed me, I calmly responded with an official warning. When he threatened me more severely, I answered with a final request for compliance. At that point, the inmate became extremely agitated that I was showing no signs of fear or alarm over his tirade, so he decided to try to make good on his threat in front of the other inmates. I was standing only about ten feet away from him when he picked up a fairly large piece of metal and threw it as hard as he could right at my face. Despite the fact that I was a hard-nosed, judgmental, poor witness for the Lord, God was good to me. He protected my life, my health, my dignity, and my authority all in one split second. In a David versus Goliath type of miraculous intervention, God caused me to remain cool, calm, and collected. Without inching or ducking out of the way, I was able to catch the torpedoing projectile with one hand just before it reached my nose. Without taking my eyes off of the assaultive inmate, I gently tossed the piece of metal on the ground beside me. This brought a loud roar of oohs and aahs from the gallery of inmate spectators. One of them commented that he had seen a catch just like that when Brooks Robinson snagged a line drive off the bat of Mickey Mantle. Out of the corner of my eye, I could see that the response team had just arrived and was assembling behind me to await my orders. I told the inmate that I was giving him his final warning to turn around and allow me to place restraints on him. I waited a few seconds for his response. When his verbal abuse and increased threats made it clear that he was only entrenched in further defiance, I gave a slight nod to the team. Like racehorses bounding out of the chutes when the gates are opened, the team rushed past me, tackled the inmate, and bent his body into the best position for me to apply handcuffs and leg irons. The gallery of inmate spectators suddenly became very quiet as the subdued inmate groaned and yelled in pain at the treatment he was receiving. The video cameras were still recording all of this, so after I saw that the inmate was sufficiently immobilized, I ordered my officers to ease up and not hurt him any more than was necessary. The assailant and the onlooking inmates got the clear message that there was zero tolerance for any inmate who would threaten and assault officers. I wanted to impose maximum painful consequences to achieve deterrence. My actions were legal and I was a legitimate asset to the departmental mission to keep peace and control crime, but it was my self-righteous attitude that was skewed. 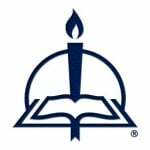 I felt that I was doing the best possible thing by zealously punishing evil people as often and as brutally as I legally could under the color of state law and the authority of God’s Law. This legalistic version of my thoughts about faith began to take its toll, however, as my commitment to an attitude of judgmental condemnation eventually caught up with me. My attitude carried over into my personal life. My wife became understandably unappreciative of my holier-than-thou countenance and overall condescending disposition. Even if I never told her directly that I thought she was going to hell for not being holy enough, I sure made her feel that way. My form of religion was very “finger-pointing” critical. I made her feel like God didn’t approve of her and that I didn’t either. She often mentioned that I made her feel as though any attempt of hers to disagree, argue, or fight against me was to fight against God. This drove a big wedge between us that I stubbornly ignored, holding fast to my convictions. I lost that marriage, and I deserved the painful consequences. I was so aloof that it was many months after the divorce before I fully realized how many people I had hurt, how wrong I had been, and what all I had done. My self-confidence suffered an additional blow during that same season of life when I sustained a severe shoulder injury while competing in power weight lifting. That injury ended my ability to ever lift weights again. I had been trusting in my personal physical strength rather than in the Lord, and suddenly my ability to maintain that strength was gone. If these two life defeats weren’t enough in that same season of life, I also totaled my car in a high-speed accident that came close to killing me. This downward spiral of one crushing blow after another came to a head one day as I was walking through the prison cellblocks. I was a captain at the time and was conducting a security check of the solitary confinement cellblock when I received the unpleasant combination of both a verbal and physical assault. As I walked past the cell of an angry inmate, he cursed and severely insulted me, threw a cup full of urine all over me, then spit in my face. He was locked inside his cell with steel bars between us, so the assault was limited to the dousing I had just received. But the assault itself didn’t bother me. This sort of thing happened to segregation tank officers every day back then. What happened about thirty seconds later is what made a lasting impression on me. pages 11–17 © 2016 by Timothy R. Carter. Published by Concordia Publishing House. All rights reserved. 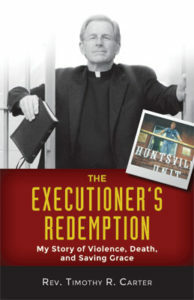 To order The Executioner’s Redemption, visit www.cph.org or contact CPH at 800-325-3040.